Arts and Culture Ambassadors on the Better Learners Better Workers (BLBW) programme recently visited Priory Place Methodist Church in Doncaster for a ‘Music in the Round’ event. The purpose of the Arts and Culture programme, led by Ignite Imaginations, is to inspire and galvanise the next generation of artists, producers, coordinators and CEOs. They aim to do this through enabling young people to gain a real insight into career opportunities in this sector, to help build their personal and creative skills, and to connect them to the world of work. This year, Ambassadors have been working towards achieving their Year 9 Bronze Arts Award through the BLBW programme. In order to achieve this award, the students must collect and log evidence of various experiences including: actively participating in any art form, attending at least one arts event and their review of that event, passing on an arts skill, and researching the career and work of an artist or craftsman. 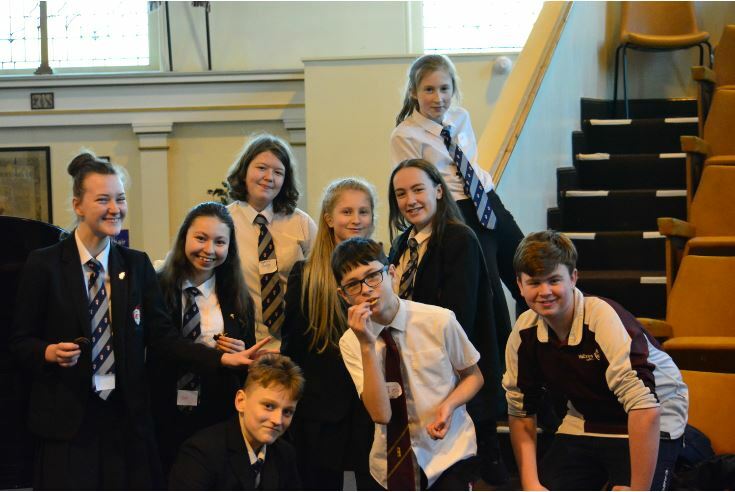 In working towards achieving this award, the Ambassadors enjoyed taking part in and reviewing the ‘Music in the Round’ event on 29th January. Music in the Round is the largest promotor of chamber music outside London and it was a great opportunity for the Ambassadors to express themselves in various ways through the art of sound.